The better hostels will give their guests ideas and/or maps for some self-guided hikes in the area rather than merely trying to sell them tours. Failing this, cafe La Chakana in the main plaza has a folder with details of 8 such walks, though the maps are very basic and you will need to copy out this information yourself as you wait for your food. However none of these trails are actually marked on the land. A hostel which laid these trails would surely have a huge advantage over competitors. 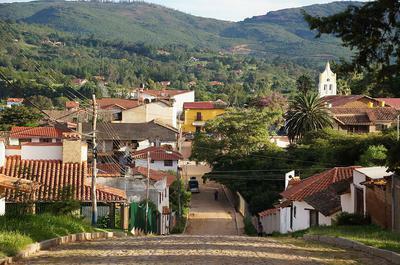 Alison Donald traveled to Samaipata to get a fresh view of this town that is so popular among tourists and expats, having first visited in June 2010. Read about Samaipata Bolivia from her perspective as a returning local, no longer a tourist.